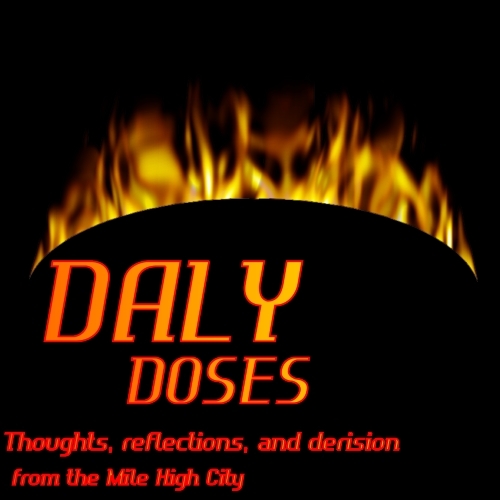 October 2015 – Welcome to Daly Dose Sports- Your dose of sports and sarcasm. Dallas Cowboys head coach Jason Garrett announced that Greg Hardy will not be punished in any way after the defensive end told Garrett and Cowboys’ owner Jerry Jones that he wouldn’t stand for it. Hardy was involved in an altercation with his teammates, and with Cowboys special-teams coach Rich Bisaccia on the sidelines of the Dallas game against the New York Giants, after the Giants Dwayne Harris 100-yard kickoff return for a touchdown gave New York a 27-20 lead. Hardy slapped the clipboard Bisaccia was holding, which led to the coach shoving him out of the huddle. He continued to have words with teammates Devin Street and Dez Bryant afterward. 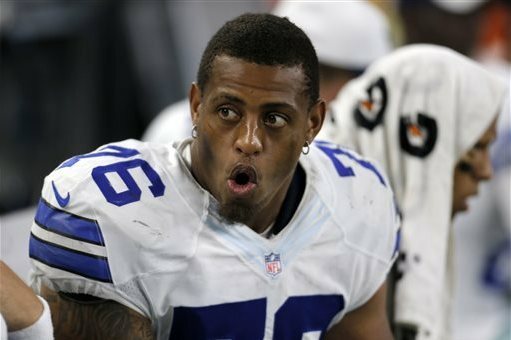 In the locker room after the game, Hardy offered several “no comments” for his actions. The Cowboys brought Hardy in on Wednesday to discuss his actions but the meeting did not go as planned. Episode 48 of the Daly Dose Sports Podcast is up! The Daly Dose Sports Podcast brings you our NBA preview! 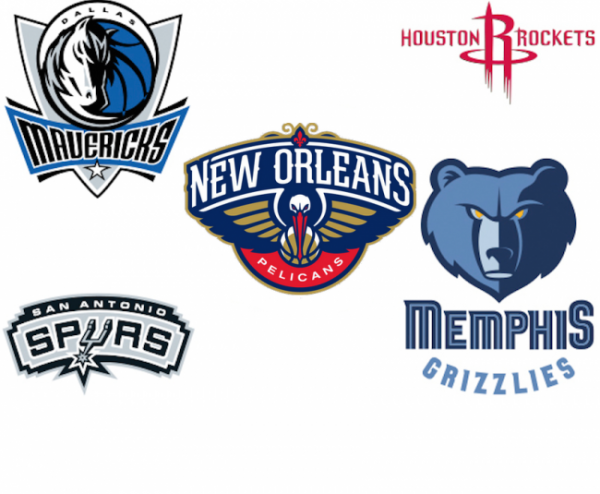 Breakdowns for each team and Clint gives his picks for who will be playing in the NBA Finals. Plus World Series, college football, and NFL talk. And do you still need a Halloween costume? 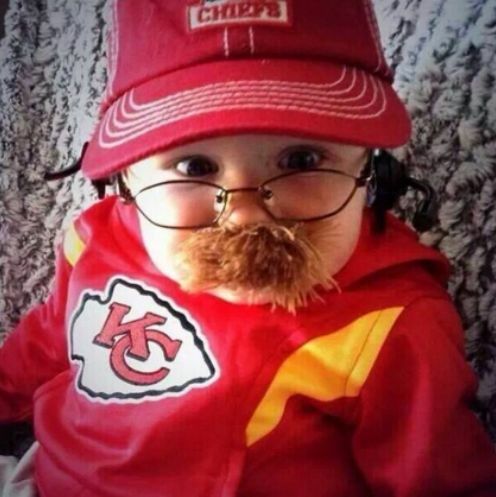 We count down the Top 5 sports themed Halloween costumes that you can use this year! Check out Episode 48! 1. San Antonio Spurs The Spurs responded to getting knocked out of the first round of the playoffs last year by signing LaMarcus Aldridge and David West. Aldridge is a significant upgrade to the Spurs as a scorer and he seems to have a boring enough personality to fit right in with those robot nerds down there. 2. Houston Rockets You might look at the Rockets and consider them a favorite to contend for the West after they went to the Conference Finals last year. But there are still a number of questions that remain to be answered. How will James Harden deal with being jilted by a Kardashian? Can 30 year old Dwight Howard stay healthy? And what is really in Ty Lawsons’ water bottle? 4. Memphis Grizzlies If I was going to head into a back alley brawl, I would want to take this team with me. Marc Gasol, Zach Randolph, Mike Conley, Jeff Green and Tony Allen are some bad dudes. Unfortunately this isn’t a street fight. It’s basketball. And this team is another year older and still can’t shoot. 5. Dallas Mavericks Sure, the Mavs may not have had the best offseason. Rim protector Tyson Chandler left for Phoenix. And talented shooter Monta Ellis has joined the Pacers in Indiana. And Dirk Nowitzki is just another year older. It isn’t all bad news though. At least free agent C DeAndre Jordan said he would go to Dallas, which should really help. Did you miss the Southeast Preview? 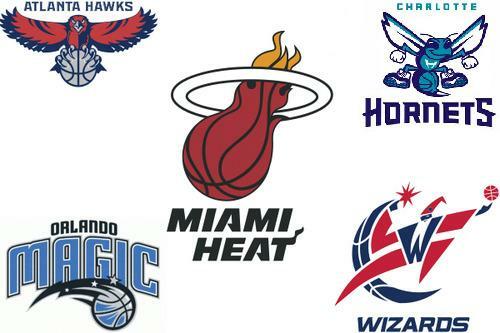 We now turn our attention to the Southeast Division where the Hawks, Wizards, and Heat will battle it out to see who gets to lose against the Cavaliers in the playoffs. 1. Atlanta Hawks The Hawks lost SF DeMarre Carroll to free agency but managed to pick up veterans Paul Milsap and Tiago Splitter which should help them roll to an impressive regular season before folding once again in the playoffs. 2. Washington Wizards The Wizards have a great ball handler and creator with PG John Wall and a terrific shooter in SG Bradley Beal. So why is it then that we always see Beal trying to create and kicking it to Wall for a low percentage three point shot? Maybe it is because head coach Randy Wittman can’t work a clipboard. 3. Miami Heat Miami went just 37-45 last season and missed the playoffs. The Heat will get Chris Bosh back from his health scare and rookie Justise Winslow should give them some toughness and athleticism. And if that doesn’t help, Pat Riley is still leaving mean notes on LeBron James’ windshield whenever he gets the chance. 4. Orlando Magic Orlando’s new head coach Scott Skiles is inheriting a team with some good young players. The Magic have four lottery selections on the roster and they will show improvement under Skiles who has a knack for coaching up young talent. And then in about three years they will grow tired of him turning beet red and screaming in their faces. And they will quit. And Skiles will get fired. But hey, it was fun while it lasted. 5. Charlotte Hornets The Hornets currently have Cody Zeller, Tyler Hansbrough, and Frank Kaminsky on the roster but it may only be because the Washington Generals are now defunct. Next up: the Southwest Division! 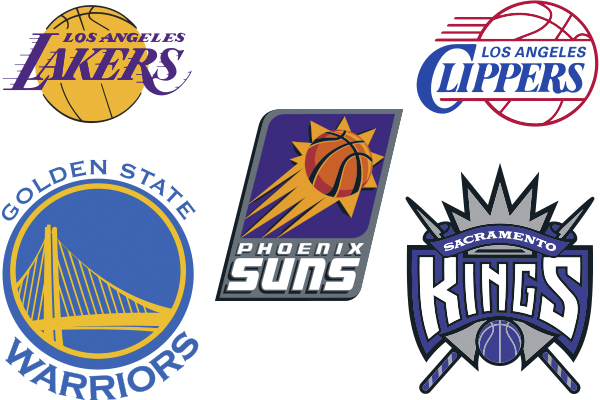 Did you miss our Pacific Division preview? The NBA regular season starts this week! How will your favorite team do? Check out the Daly Dose Sports NBA preview! Today we break down the Pacific Division. Can the Warriors repeat? Will the Suns contend for the playoffs? Are Lakers fans out buying Clippers jerseys? We do our best to answer these questions. 1. Los Angeles Clippers The Clippers took a strong team that went to the Western Conference semifinals and added Paul Pierce, Josh Smith, and Wesley Johnson. So the sky is the limit for this group. Of course, they are the Clippers so…it’s usually better to just expect the worst. 2. Golden State Warriors 2014-2015 was an amazing run for the Warriors but they did have a number of things break their way. They ran into teams that had injuries and they caught favorable matchups throughout the playoffs. It will be disappointing if they are unable to duplicate their success from a year ago. Mostly because we want to see more from Riley Curry. 3. Phoenix Suns KD Lang Jeff Hornacek and the Suns struggled with team chemistry and too many point guards in 2014-2015. They pared the logjam at PG and brought in 33 year old big man Tyson Chandler to shore up the defense. Of course it is Phoenix, so how much defense are they really going to play anyway? 4. Sacramento Kings The Kings went 29-53 in last season and then following the season they decided to totally overhaul the roster. Gone is Carl Landry, Jason Thompson, and Reggie Evans. And now head coach George Karl gets to deal with Rajon Rondo AND DeMarcus Cousins. The Kings could be improved. Then again, we could find Karl out on a ledge somewhere mumbling to himself. 5. Los Angeles Lakers With newly drafted PG D’Angelo Russell, Jordan Clarkson, and Julius Randle returning from injury the Lakers have a nice young foundation that could meld with veterans Roy Hibbert and Kobe Bryant to start becoming competitive. At least until Bryant’s cataracts start flaring up. Or he gets the gout. Next up: The Southeast Division! Did you miss the Central Division preview? The Central Division is one of the most competitive in the NBA. The Cavaliers are the defending NBA Eastern Conference champions.The Bulls have a new head coach and a new system. 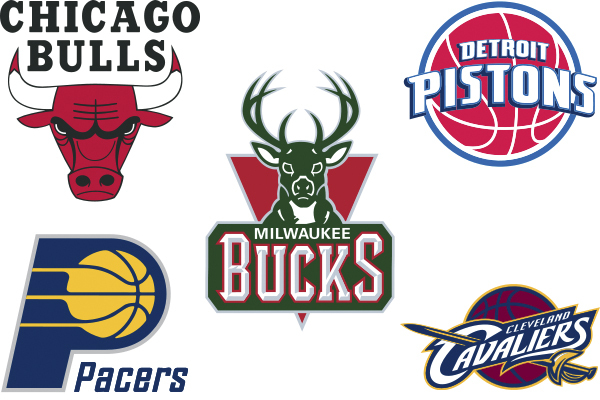 The Bucks and Pistons are good young teams that can push for a playoff spot. And The Pacers…well they have a team too. 1. Cleveland Cavaliers The Cavaliers were limping by the time they met up with Golden State in the NBA Finals. But this season could be different. Head coach LeBron James has a year of experience under his belt. And point guard LeBron James should be improved as well. If shooting guard LeBron James can deliver in the clutch and power forward LeBron James can battle in the paint, then center LeBron James might be able to lead this team to a championship. 2. Milwaukee Bucks The Bucks are the best young team in the NBA. With players like Giannis Antetokunmpo, Jabari Parker, Greg Monroe, and Michael Carter-Williams all 25 or under Milwaukee could be a force for years to come. No really. I’m not kidding. This isn’t sarcasm. They are good. And young. Stop laughing. 3. Chicago Bulls Bulls’ management was tired of all the winning that head coach Tom Thibodeau was doing and fired him after making the playoffs for five straight years. They have brought on Fred Hoiberg to bring his up tempo high scoring offense to the Windy City. It could actually work. I mean if Derrick Rose can stay healthy…Oh what am I saying? He probably got hurt as I was typing this. 4. Detroit Pistons Ron Jeremy Stan Van Gundy takes over in Detroit where he will try to do what he last did in Orlando. So there’s good news coming, Detroit. You are going to build up a respectable team, only to lose in the NBA Finals and then bottom out, and have to completely rebuild again. But hey, it’s still better than being the Lions. 5. Indiana Pacers Larry Bird has told head coach Frank Vogel that he would like the Pacers to run a little more this year with the departure of Roy Hibbert and David West. And that might be good news for forward Paul George and new acquisition Monta Ellis. And it is also good news for Pacer fans that will enjoy the up-tempo style. Of course it is bad news for the rest of the team that is you know….not very good at running…or making shots…or playing basketball. Next up: the Pacific Division! Did you miss our Northwest Division preview? 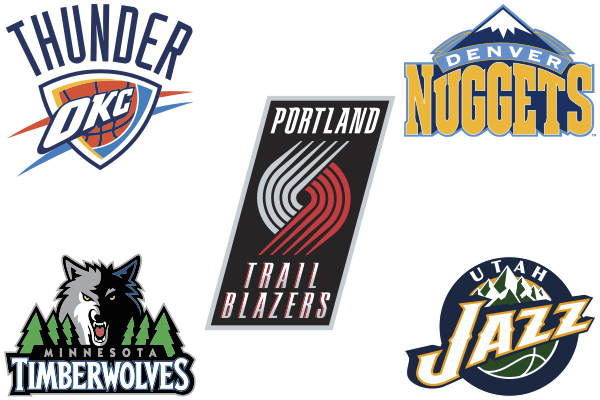 Next up is our the NBA Western Conference Northwest Division. Are the Thunder ready to take the next step? Are the Blazers going to fall as much as we think? Do the Nuggets still really have a team? We answer each of these questions right here. 1. Oklahoma City Thunder New head coach Billy Donovan comes to Oklahoma City from the University of Florida where he will try to instill the same principles he learned from Rick Pitino. So let’s hope Donovan isn’t currently hiring a stable of strippers. As Patrick Ewing taught us, NBA players can afford those themselves. 2. Utah Jazz The Jazz finished 38-44 in 2014 but that doesn’t show how good Utah was down the stretch. They were 19-10 after the All-Star break and could show some more improvement this season. Of course they play in the Western Conference so it isn’t like they will be popping the champagne any time soon. Then again they live in Utah so I’m not sure they even have champagne. 3. Minnesota Timberwolves With Ricky Rubio, Zach LeVine, Andrew Wiggins, and rookie Karl Anthony-Towns the Wolves have a nice young nucleus that could be molded into an eventual winner. Of course with Kevin Garnett and Andre Miller on the roster the average age of the team is actually 59 years old. But just ignore that. 4. Denver Nuggets The Nuggets landed Mike Malone as their new head coach after the Brian Shaw fiasco. He has a reputation of working well with young players. So rookie PG Emmanuel Mudiay PF Kenneth Faried should be able to create nice highlight films to show other teams when they leave Denver via free agency for a real basketball franchise in a couple of years. 5. Portland Trailblazers Sure, the Blazers lost a ton of talent. LaMarcus Aldridge, Wes Matthews, Arron Afflalo, and Robin Lopez all left for greener pastures. But Portland did go out and replace those guys. I mean c’mon, they got Mason Plumlee. And Noah Vonleh. And don’t forget Al Farouq-Aminu. That’s sort of the same, isn’t it? Did you miss our Atlantic Division preview? Next up: The Central Division! Yes, the NBA season is already starting. While it may seem that we just got done having LeBron James jammed down our throat 24/7, a fresh new season of more and more Lebron is already upon us. Of course, here at the Daly Dose, we break down the NBA like no other. So sit back and enjoy our first division outlook. 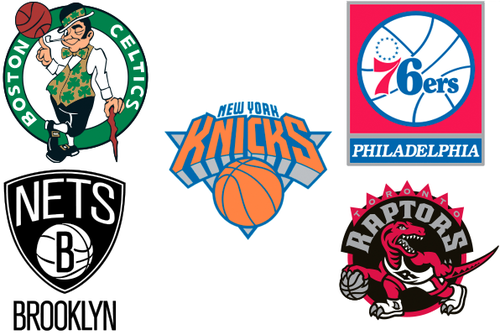 Here is how the Eastern Conference Atlantic Division is going to play out. 1. Boston Celtics The Celtics have some depth at guard that should pay dividends for the future. With Evan Turner, Marcus Smart, Isaiah Thomas, and Avery Bradley they have some talent in the backcourt. And with Kelly Olynyk and newly acquired big man David Lee the Celtics also have some depth in the big white stiff category…which has always played big in Boston. 2. Toronto Raptors After they were swept in the first round of the playoffs the Raptors knew they had to get better defensively. They went out and signed DeMarre Carroll who should help. Carroll is a terrific defender who doesn’t need the ball to be effective. And if that doesn’t work they can always send general manager Masai Ujiri out to do some public speaking again. 3. Brooklyn Nets New head coach Lionel Hollins should have a positive impact on this veteran group. And by “veteran” I mean old. With a roster that includes Joe Johnson, Jarrett Jack, Dahntay Jones, and Andrea Barnani the Nets have a ton of experience. And by “experience” I mean AARP cards. 4. New York Knicks Carmelo Anthony has said that he wants head coach Derek Fisher and the Knicks coaching staff to hold him accountable in practice and film study this year when he makes mistakes or doesn’t give 100% effort. But not when he plays in the All-Star Game and then shuts it down for the rest of the season. That’s okay. 5. Philadelphia 76ers If there is one thing that this team needs it is a point guard. So in the NBA Draft this summer they bypassed point guards Emmanuel Mudiay, Terry Rozier, and Cameron Payne to pick up 6’10” Jahlil Okafor. There is no question that Okafor is a talent in the post but he’s probably going to be a liability when he has to bring the ball up the floor every night. Next up: the Northwest Division! Episode 47 of the Daly Dose Sports Podcast is up! This week on the Daly Dose Sports Podcast Clint looks at the college football season at the halfway point. Who are the biggest surprises? Disappointments? Heisman contenders? And he gives you his Top 5 ranked teams right now. 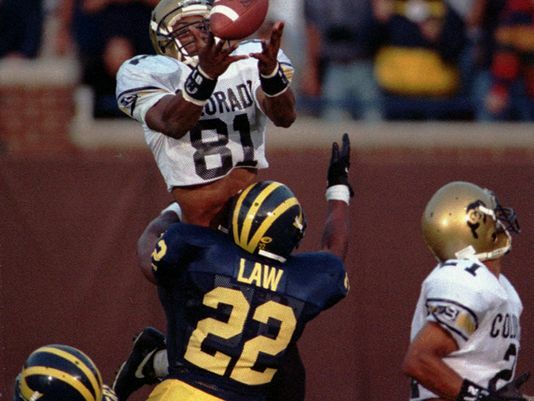 Plus NFL, MLB and the Daly Dose Top 5 college football finishes of all time. Don’t miss Episode 47! The Denver Broncos are 6-0 so why aren’t fans in Denver happier? Peyton Manning is quite simply a victim of his own success. I understand that the fans want more offense. And how can you blame them? We are an instant message society and Manning has put up instant offense over the duration of his career. So what if he is winning? We demand to be entertained! I think ESPN is currently doing an Outside the Lines special on how Peyton grimaces when he throws the ball. Maybe. Or maybe that’s just how his face looks. You’ve just never noticed because you’ve been watching a wide receiver dancing around in the end zone after he caught a touchdown for the past 17 years. Yes, the offense is struggling and Manning is having a hard time adapting to Gary Kubiak’s system. Imagine if the Broncos were running that fake punt play that the Colts ran Sunday night against the Patriots. That may have been the stupidest moment in NFL history. Well…next to John Fox kneeling on the ball in 2013 against the Ravens. Do you realize that this is basically the third system that Manning has had in the past 12 months? It was last November against the St Louis Rams that Peyton took a few shots and suddenly the wide open, pass-happy Peyton Manning offense was gone. John Fox installed a run first offense and the Broncos started a slow steady decline that ended with a playoff loss and Fox getting fired. So maybe Manning is just struggling to play in yet another new system, with a rebuilt offensive line, after playing in basically one system for most of his career. Or maybe Peyton Manning is washed up and it is time to move on. But I bet there are about 22 other NFL quarterbacks who would trade all of their stats with Peyton to be 6-0. Think that Philip Rivers wouldn’t trade his league leading offense to actually be a playoff contender? Rivers is putting up 353 yard per game and has 12 passing touchdowns. And the San Diego Chargers are in 3rd place in the AFC West at 2-4, one game behind the Oakland Raiders, and four games behind Denver. At least Peyton has one Super Bowl win. Rivers’ biggest accomplishment is outdueling Jay Cutler. I’ll wait while that last statement sinks in.